Get Your Retirement Savings Factors This Fidelity tool helps you gauge how many times your annual salary you should have saved at various ages to be on track to retirement. Retirement Income Calculator This tool from T. Rowe Price allows you factor in your savings, investments, Social Security payments and other info and then uses Monte Carlo simulations to determine whether you have enough resources to support your planned lifestyle throughout retirement. Savings Interest Calculator Just enter the amount you’re saving each week, month or year, your estimated rate of return and the number of years you’ll save, and this CNNMoney tool will project your eventual account balance. The Latte Factor Calculator See how much you can save by avoiding small expenses and investing the money instead—assuming you have the discipline to pull it off. Will You Have Enough To Retire? This tool is designed to give you a quick estimate whether you’re on track toward a secure retirement. Enter your age, income, planned retirement age, the amount you’ve saved to date and the percentage of income you save each year, and the tool will estimate how a nest egg you’ll need and how much you’re projected to have. How Much Should People Save? This study from the Boston College Center for Retirement Research examines the question of what percentage of salary people must save each year to have a reasonable chance of maintaining their lifestyle after they retire. The upshot: A target of roughly 15% is reasonable. Face Retirement This is a fun tool that relies on behavioral research to help you get more serious about saving for retirement. 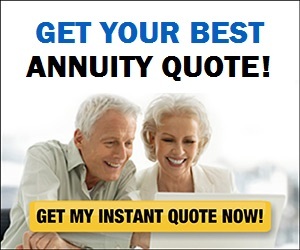 You begin by talking an online photo of yourself at the Face Retirement site. The tool then uses age-morphing technology to show you want you may look like in retirement. The idea is that you’re more likely to save when you feel more of a connection with your future older self.